AN election committee has given boxing chief Ricky Vargas and Philcycling president and Tagaytay City Rep. Abraham ‘Bambol’ Tolentino the green light to run for president and chairman, respectively, in Friday’s Philippine Olympic Committee (POC) re-election. The decision, made on Thursday by the POC comelec chaired by former International Olympic Committee (IOC) representative Frank Elizalde, cleared the way for a fight between Vargas and incumbent president Jose 'Peping' Cojuangco in the court-ordered polls on Friday. A portion of the omnibus ruling/resolution read: “The POC election committee hereby rules to allow Mr. Victorico P. Vargas and Rep. Abraham N. Tolentino to vie for the positions of the POC President and POC Chairman, respectively, in the February 23, 2018 elections." Ironically, it was this same election committee that disqualified Vargas and Tolentino from running for the top POC positions in November last year, leading to a legal battle that ended with a Pasig court declaring the results null and void and ordering a re-election. 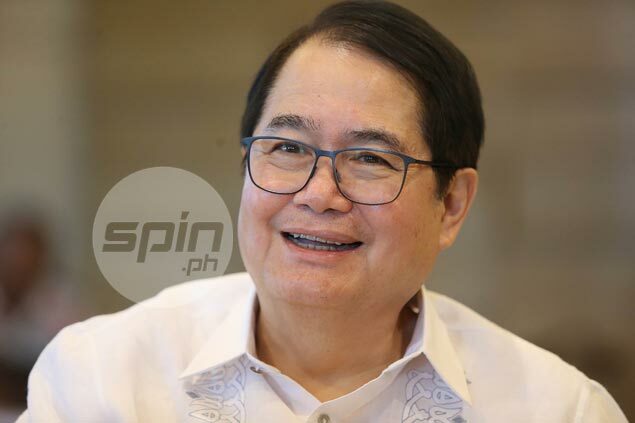 Now an election that failed to happen last year will now take place at the Wack-Wack Golf and Country Club in Mandaluyong City on Friday, with Vargas poised to end Cojuangco's 13-year reign. The election committee, which also included Br. Bernie Oca of La Salle and election lawyer Alberto Agra, previously ruled Vargas and Tolentino ineligible saying they failed to qualify as 'active members' of the POC general assembly. But the committee explained that it had no choice but to follow the court order nullifying their decision, lest it be cited for contempt. “Considering the judicial declaration of nullity of the November 25, 2016 elections and inclusion of Vargas and Tolentino in the list of candidates, the POC Election Committee opened the nomination and allowed the previously disqualified candidates to confirm their participation in the elections,” the omnibus ruling/resolution stated. Elizalde earlier told the Manila Bulletin that he is compelled to follow the court order. “While I still maintain that they are ineligible, I will follow the court order... I don’t want to be cited for contempt,” said Elizalde.